Today marks the launch of the Developer Preview for Google Data Studio’s new community connectors. Analytics Canvas was one of the companies invited by Google to create connectors for the launch to show what is possible with this exciting new feature. Unlike other connectors that get data from a single source, our connector is linked to the Analytics Canvas desktop application, allowing users to connect to all of the data sources that Canvas connects to. This gives users the full power of our visual data transformation framework to easily mix data together, clean it, prepare it, and bring those ready-to-analyze data sets into Data Studio. 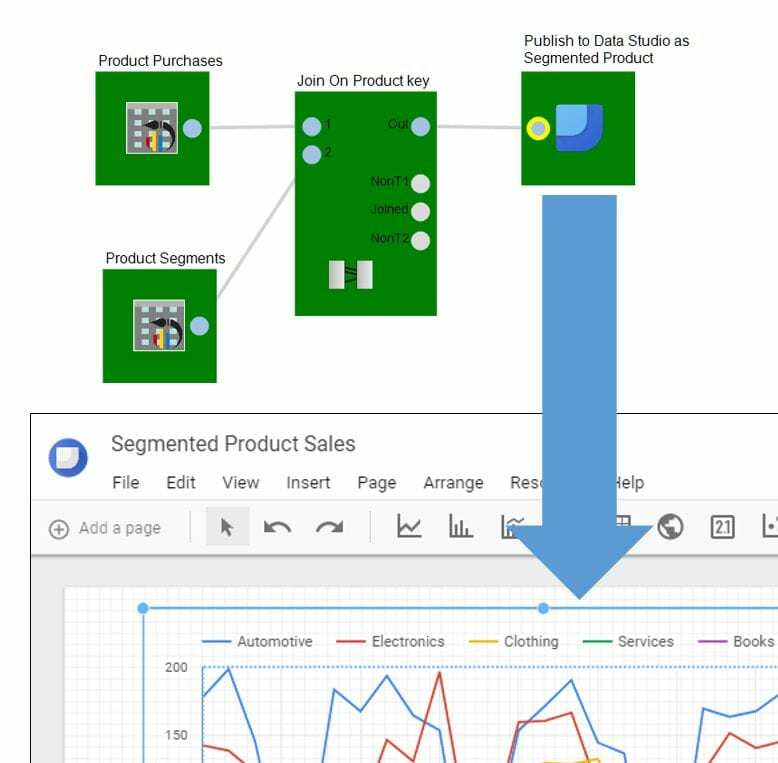 Review our step-by-step guide to see how you can get your data into Data Studio today. Google is offering Data Studio free of charge and has created a marketplace that allows developers to create solutions that fit the needs of their customers. Analytics Canvas is the solution for those serious about their data, especially when it comes to Google Analytics, AdWords and Search Console. Our contribution to the market place and the initial release is a solution trusted by enterprises, agencies, analysts and developers around the world who live and breath Google Analytics data. They are the ones who work with Big Query and GA 360, with eCommerce data, with data from dozens, sometimes thousands of Profiles and Views, the data professionals who want to clean and process their data before analyzing it, and for those who want to load their data into data warehouses or stream their data into data lakes. Our solution involves the highly anticipated Analytics Canvas Cloud. 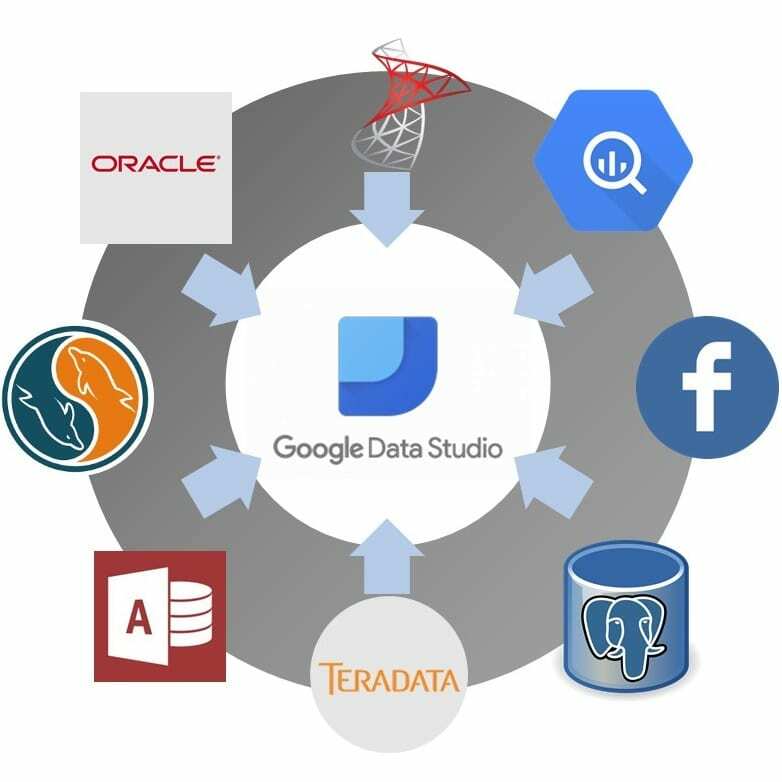 Our connector takes advantage of the Analytics Canvas Cloud architecture to bring data into Data Studio – the underlying problem that Google is solving with this new program. The advantage of storing and accessing data in the cloud is that it is available immediately to Authors and Viewers – no waiting for fresh data from an API each time a dimension or metric is added to a chart or table. It also solves another problem experienced by Data Studio users – that of bringing data from multiple sources together in one visualization. Now everyone in an organization can have access to curated, meaningful dashboards without costly development and licensing fees. Hats off to Google for making data more accessible to more people around the world. What can you get from blending data from Search Console and Google Analytics together? What about analyzing keywords from multiple websites, grouped by segment? We’re interested to see what you come up with and to see Data Studio continue to grow and mature into a solid contender in the data visualization space. Remember – Data Studio itself is in Beta and this is first stage of a public roll-out. We’re making the connector available in a private beta of Analytics Canvas and will work with beta testers to make sure that things are ready for production reporting processes before releasing it publicly. If you would like to participate in the private beta and start loading clean data into Data Studio today, please visit this page and fill out the contact form.